The Mirror is not generally regarded as a resource for central heating news, however, after providing several tips on choosing insurance for domestic boilers, the tabloid has launched a competition that will reward one lucky reader with a brand new energy efficient boiler. Earlier this month, the online news service published an editorial on the importance of buying boiler insurance. The tabloid argued, quite sensibly, that boilers ought to be insured ahead of the winter period, during which time central heating systems are most at risk of shutting down. Frozen pipes, burst mains and damaged boilers can cause substantial economic loss and damage to property. If the previous winter is anything to go by, ensuring that boilers are fully insured is essential in the event of problems occurring. The winter period is invariably a busy one for plumbers and boiler engineers, who can charge inflated premiums for emergency callouts. 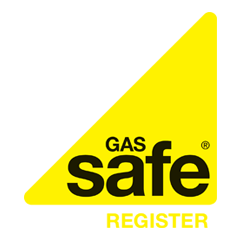 Boiler insurance from British Gas, Homeserve, the AA or one of the other leading insurers can guarantee that an engineer will visit a property within a certain time (barring exceptional circumstances) and arrange for replacements parts, etc. Chris Eagle, of Energychoices.co.uk, recently advised: “Most families will be feeling the pinch as they start to run the central heating. However, many will not have considered what could happen if their boiler breaks down and needs replacing”. Last year, the AA claimed that households faced an average bill of £343 for home emergencies caused by adverse weather conditions, so, with insurance policies starting from around £6 per month, the potential savings are significant. In regard to the Mirror’s boiler competition, the tabloid has teamed up with NPower’s Hometeam 50 to provide a superb prize worth up to £3,000. One entrant will win an A-rated energy efficient Worcester Bosch boiler with a two-year Hometeam 50 heating care policy, which would normally cost £360. In order to be in with a chance of winning the prize, which includes delivery and installation, entrants must visit the Mirror website and answer a not-so-difficult question relating to central heating boilers.